Manufactured to strict U.S. military specs by trusted maker ESS®. 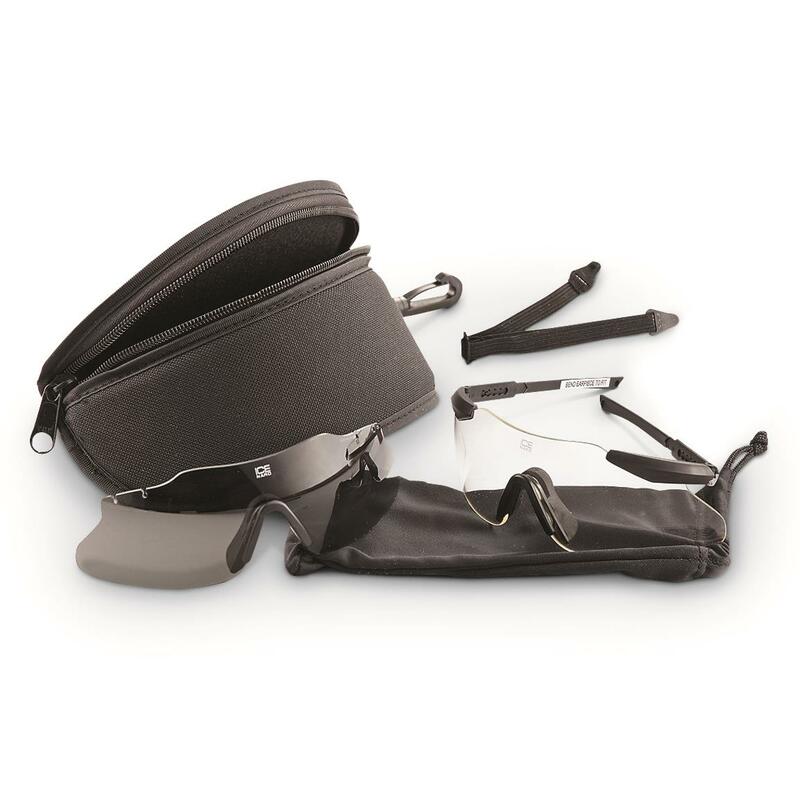 2 sets of interchangeable lenses give you the right optics for any environment. U.S. Military Surplus ESS Ballistic Glasses, New is rated 5.0 out of 5 by 3. Rated 5 out of 5 by CHARLES D from My son was very pleased with these glasses. Rated 5 out of 5 by EDWARD from Fit good and no optical distortions. Perfect for those Sunny days at the range! Protects you while you're in the Trenches.